Hotel is located in a very convenient point of the city, near the Piast Castle at the entrance to Brzeg from Wroclaw, near the road leading from Opole and Namyslow. 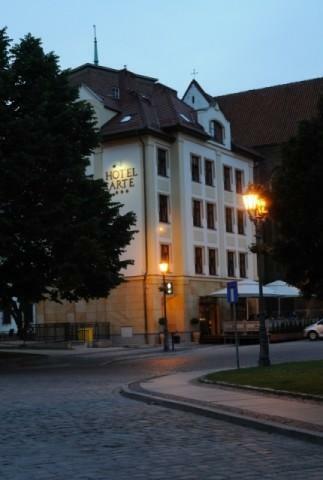 Peaceful Arte Hotel offers its guests elegant style, exquisite cuisine, and easy access to the city center. In our restaurant, even the simplest dishes are enriched with passion, heart and concern for the palates of our guests. We invite lovers of good cuisine and culinary creations of our Chef. We hope to meet your expectations and contribute to new culinary discoveries. We have meeting rooms located in the Piast Castle. The meeting organized in the castle rooms certainly will be an unforgettable experience for the participants. Using our service, you can organize a conference, training, corporate event, gala dinner in the halls of the Piast Castle. We also offer artistic or other attractive features to enhance a program.